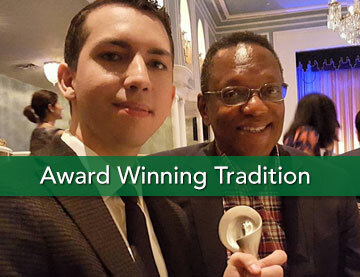 WRHU will accept music in CD or vinyl formats. Do not submit music in the form of downloadable files (i.e., MP3), links to Web sites, or cassettes. Please include general information about the genre of music contained in your submission. 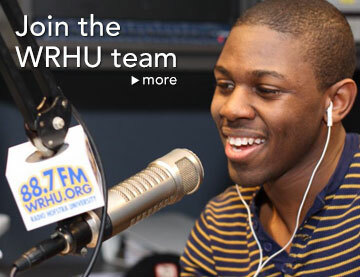 All submissions become property of WRHU. 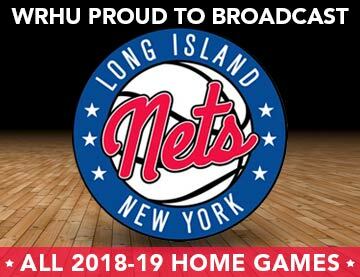 WRHU will not return any material submitted for airplay consideration. 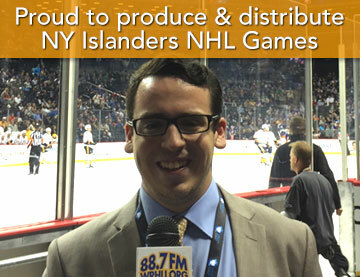 WRHU makes no guarantee that material submitted will receive airplay. Please give us at least one full week to review submissions. Eric Bloom (lead vocalist for classic rock mega-band Blue Oyster Cult) speaking with WRHU student air talent Jill backstage at a concert at Hofstra. Contemporary Hits - "Off the Chart"
Classic Rock - The Rock 'n Roll Oasis"
Contemporary Country - "Gone Country"
Italian Music - "Ciao Italy"
Irish Music - "Long Ireland Show"
Vintage Country - "Out Behind the Barn"
Polka - "Polka and Oberek Time"
Show Tunes - "Stage and Screen"
Classical - "Classics from Hofstra"
WRHU airs a number of live in-studio performances. 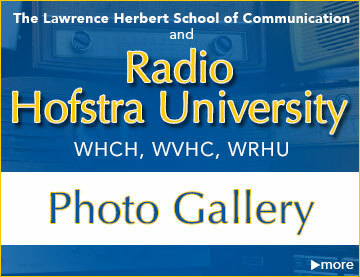 For more details listen over the air in New York on 88.7 FM or listen from anywhere in the world at wrhu.org. 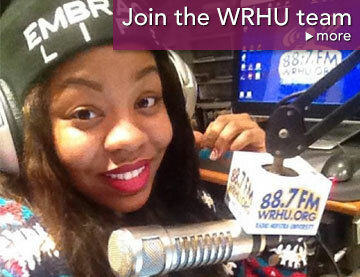 WRHU plays music from the stars and features exciting new artists. R&B singer Alicia Keys with WRHU staffers. John Mayer with WRHU air talent Lindsay. Jack Johnson speaks with WRHU. 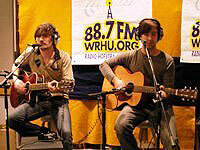 A local band playing live at WRHU. 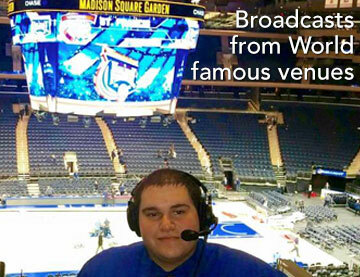 Radio Hofstra University students use the worlds leading music scheduling software Selector.